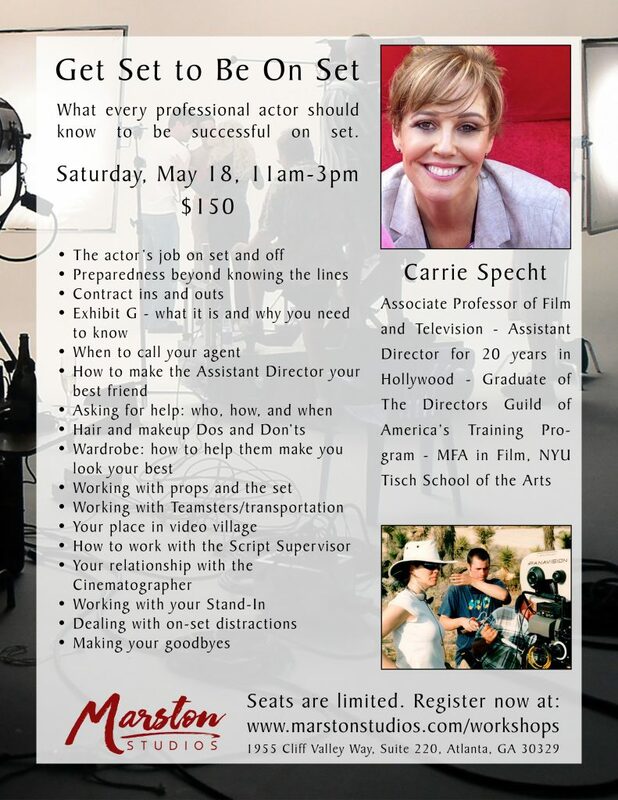 In addition to the ongoing monthly classes offered at Marston Studios, we’re continually partnering with nationally recognized acting coaches, casting directors, and other film and TV industry professionals to bring you world-class acting workshops. Click on any of the items in the list below to expand the details. Register now – seating is limited to 30 students.